Aside from my Tarot Journal where I write a little more freely and creatively, I also like to keep a Tarot planner. In my planner, I like to focus on goals and tasks for the coming week, and I do a "What's next?" card draw for my day ahead. BUT I don't like to spend a lot of money on my supplies. When it comes to journaling and notebook planners, I'm a coupon-cutting, bargain-hunting maniac! I recently found a 50% off (ended up being $10!) small Create365 planner (Create365 IG pics here) and went about making it my own Tarot planner. Here's how to do it on the cheap! 1. Use a Symbol Key! Price tag or color-coding stickers are CHEAP (like $1 for this pack), and they highlight your daily symbols beautifully! I like to map out my "Energy of the Day" card draws like this on my monthly calendar. It's a great way to recognize patterns in my moods and behaviors. My favorites that you can download on my site are the mini black-and-white tarot cards (Zip File here), other decorative circle templates (PDF here), and more on our Free Downloads page here! But you can also search Pinterest for "Free Planner Printables" and find many, many more! I also love the graphics over at The Graphics Fairy, which are vintagey and free for personal and commercial use. Many free printables and planner sticker sets come with quotes that can be turned into questions for perspective and goal planning. The below printables for download here, from fallingglitter.com would make for some great Tarot questions, like: "How can I make sure to Enjoy Every Moment today?" or "What do I value most about my Home Sweet Home?" or "How can I Make Things Happen today?" Many planners nowadays come with weekly and monthly goal-planning prompts. 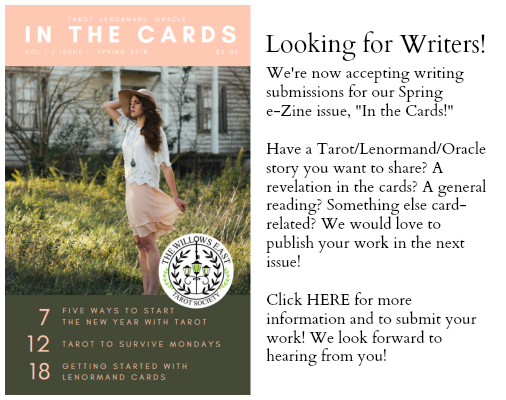 Put your Tarot cards to the test by planning your weekly and monthly goals with Tarot! If your planner doesn't have a goal-planning section, add your own with a post-it note. A fun exercise to start goal planning is to outline 3-5 lifetime goals for the very first section of your planner. Think: "Happy, healthy family," "Independently successful," a "Healthy marriage," or "Queen of the Free World!" As you work through your monthly goals, note that they should ultimately reflect steps toward your lifetime goals. And, similarly, your weekly goals, should reflect your monthly and lifetime goals. Ask your Tarot cards how you can best work toward completing them. I hope you found this post useful. Looking for more journaling ideas and prompts? Other journaling posts here too! My Lifetime Goals are What! ?